Arkansas has the fastest growing prison population in the country, and Pine Bluff, Arkansas is one of the poorest cities in the country. With plenty of residential blight, Pine Bluff was open to getting help in removing abandoned homes, making them an easy sell for a project called the Mulligan Road program, housed in a nonprofit organized by corrections officials. The program’s plan was to employ inmates, parolees, and probationers in demolishing the homes…at slave wages and sans sufficient protective gear to protect them from the asbestos that officials presumed but did not confirm was present. 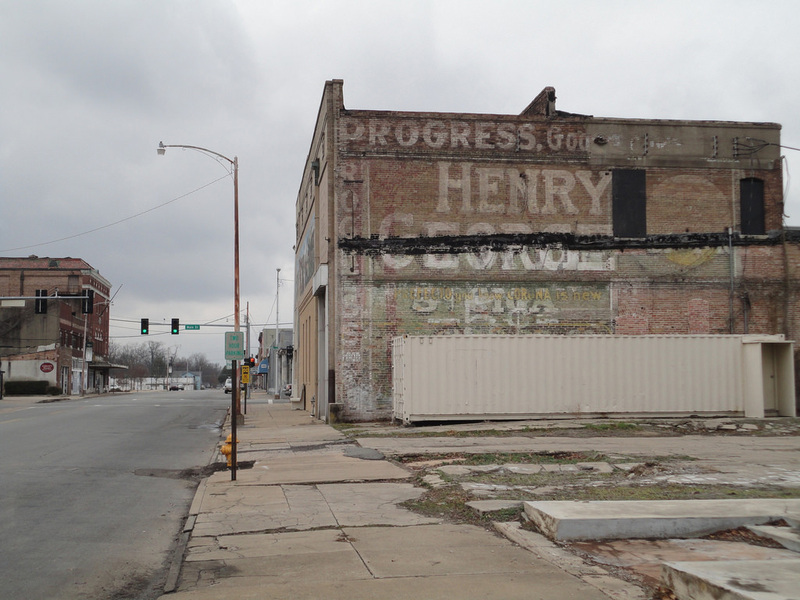 The Pine Bluff project was to involve 600 demolitions in just over two years on a budget of $830,000. Participants were supposed to receive training in construction and demolition work, along with life skills and so forth; be paid up to $1,000 for work over six months; be provided post-prison jobs; and be released early. The high cost of asbestos remediation was too expensive to deal with. Willful ignorance about its presence became a budget decision. The outfits provided to the workers were randomly sourced from a local clothing drive. They were issued hard hats, gloves, safety glasses, and disposable dust masks to be reused day after day. If the program had not been exempted, proper protection would have required half-face, dual cartridge respirators (equipped with special HEPA filtered cartridges), special eyewear, disposable coveralls (ideally, two suits worn at the same time), disposable gloves, and rubber boots. And all that would be multiply redundant, as tools and safety equipment need to be decontaminated after each use. Some of the workers asked for respirators when the dust became so thick that it clogged the machinery, but the supervisor reminded workers they could always just go back to jail. The workers understood that a return would be considered a violation that would end in a longer sentence. When a reporter began nosing around, the federal Environmental Protection Agency sent inspectors to the site. The EPA issued an immediate letter threatening penalties for a litany of health and safety violations. The project was shut down, but not in time to prevent what might have been the fatal inhalation of toxins by workers. The director of Arkansas Community Correction says in a letter that the potentially deadly situation was not their fault since federal officials had “totally failed to communicate” the rules. By which, of course, they mean that the rules were sent to them but were “never mentioned” in subsequent conference calls with the EPA, even when state officials “continually asked” about regulatory compliance. “The program has been very successful on many accounts for both the city as well as the inmates involved,” Kevin Murphy, the chief deputy director of Arkansas Community Correction and the director of Mulligan Road, wrote in an email. EPA spokesman David Gray insists that state officials never informed the EPA about these issues, and of course the EPA “would not endorse any activity that violated federal law.” In fact, the inspections performed by the EPA found site supervisors unqualified and the health and safety measures either deficient or simply nonexistent.